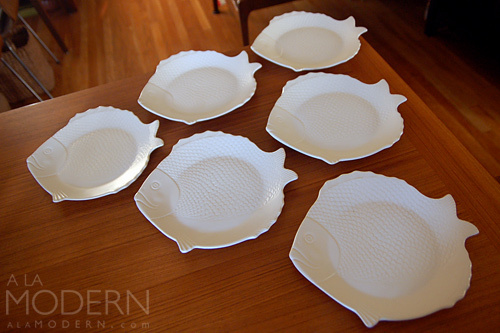 Wonderful set of six (6) "Chicken of the Sea" tuna fish plates, sometimes attributed to Bauer Pottery. We have seen a lot of controversy over whether or not these were produced by Bauer - we are NOT going to get involved in any of those conversations. Whatever those plates were, and whoever made them, here are six of them. 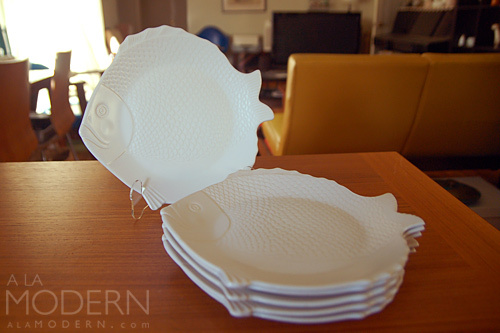 These plates were made in conjunction with the Chicken of the Sea company as giveaways. 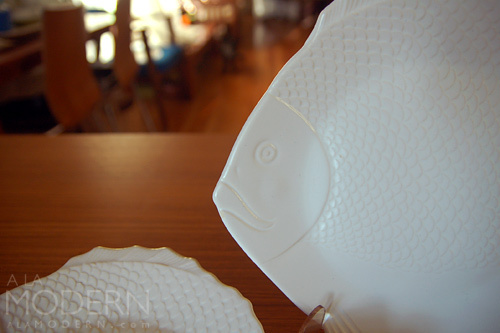 Lovely matte white ceramic design on these fish plates - rather difficult to find a larger set of them. 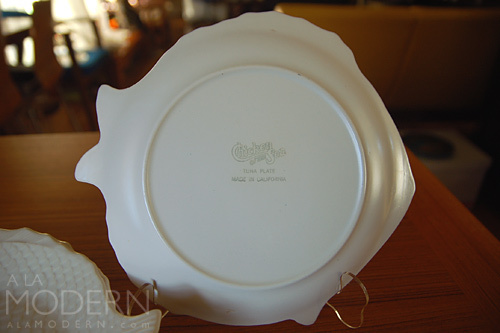 Marked on back in ink with "Chicken of the Sea Tuna Plate Made in California". In good vintage condition, except at least 3 have chips that are only visible from the back. 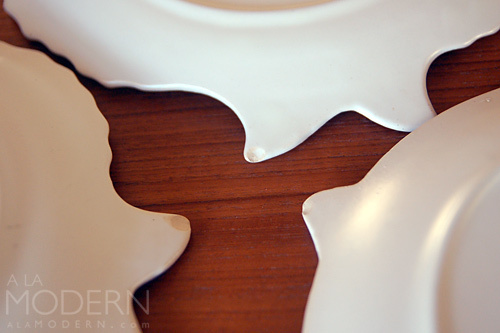 There is some minor wear/scuffing on most of the plates, but it's not that bad. Please see the photos for details. Plates measure about 10" long and 9.5" wide.